People often make lots of assumptions about community groups: that they have loads of volunteers, that those volunteers have loads of time and no other lives and that you can ask them to do anything. What most volunteer community groups have is a small core group of dedicated volunteers without whom the group would likely cease to exist. Gorgeous Gorse Hill fits in this latter category, although we always (desperately) need volunteers, we are incredibly thankful for those who come out in all weathers to help us. One of these volunteers is Marje Kelly, who last week, had a small park in Gorse Hill named after her. Gorgeous Gorse Hill worked with Trafford Council and were strongly supported by local councillors: Anne Duffield and Mike Cordingley to achieve this small recognition for an amazing volunteer. 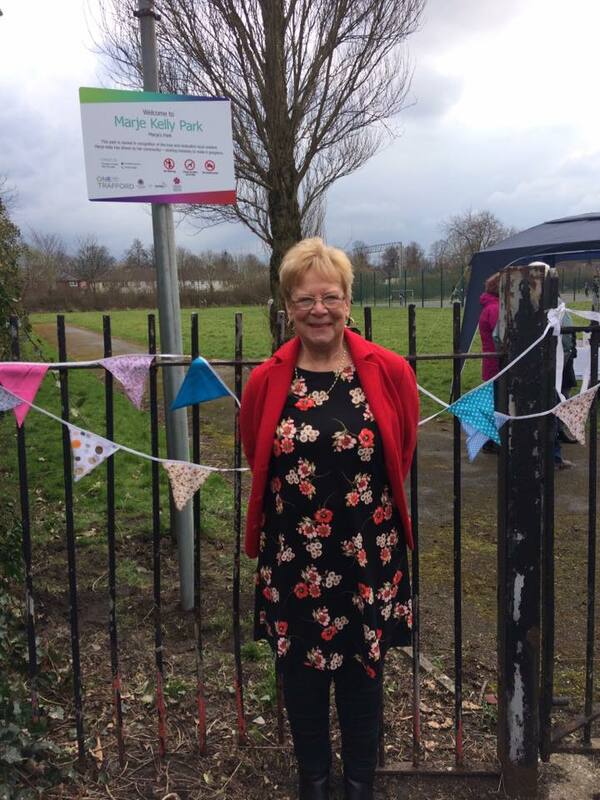 “I am so honoured to have a park named after me, It just goes to show what one can achieve by being happy to keep the parks nice and tidy, anyone can achieve this and I am grateful how many people appreciate my efforts. I first volunteered for the community groups starting off with “Poo Busters” and especially “Gorgeous Gorse Hill”, the love of flowers and watching them grow and maintaining all aspects of gardening has inspired me to join this fabulous group. 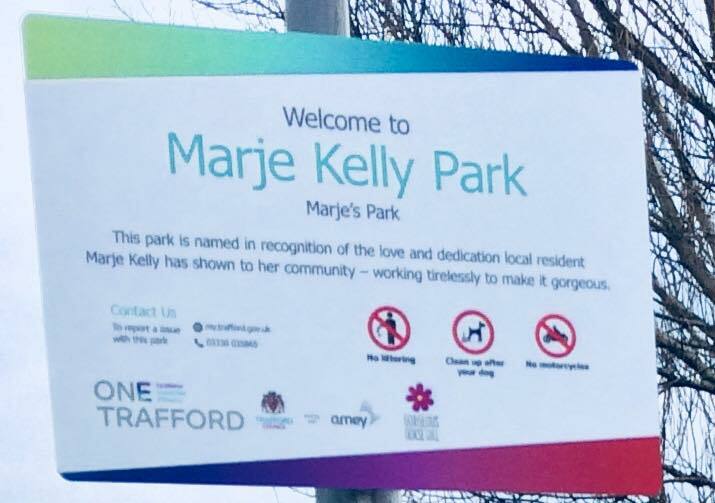 Not all of us will get a park named after us for our efforts like Marje did, but the feeling of satisfaction, of getting to know neighbours and your wider community as well as making small forgotten corners brighter and more beautiful is reward enough.